Educational Qualification:B.Tech/ BE and M.Tech/ ME in concerned engineering discipline / Post Doctoral Degree Ph.D. in concerned discipline. 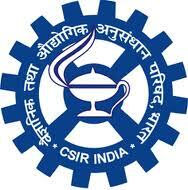 How To Apply:Eligible candidates are required to apply on-line through CSIR-NIIST website. The last date for submission of online applications is 28/02/2017 up to 5:30 PM.The duly signed print out of the computer generated application form (hard copy) along with self attested copies of certificates, mark-sheets, testimonials in support of age, educational qualifications, experience, re-prints of publications, caste certificate, if applicable, and proof of application fee remittance should be sent in an envelope superscribed "Application for the post of _____ (Post Code_____) by post so as to reach The Administrative Officer, CSIR-NIIST, Industrial Estate P.O, Pappanamcode, Thiruvananthapuram-695019, Kerala on or before 5.30PM on 07/03/2017. For any queries email to itlab@niist.res.in.